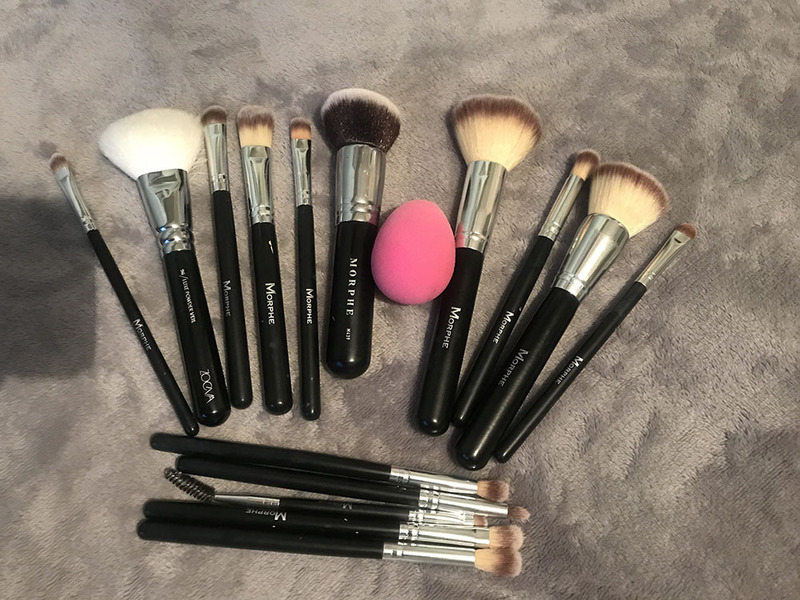 Washing your makeup brushes and Beauty Blender is absolutely essential to keep your tools fresh, clean and undamaged. It also means that bacteria doesn’t build up on the old product, which can clog up your skin and lead to breakouts. Another reason to clean your makeup tools is to avoid patchy application. When you use liquid products with a brush, after a few uses the bristles get matted and stick together, which then means the application isn’t smooth and can look streaky. I never used to wash my makeup brushes or my Beauty Blender and looking back, that’s pretty gross. I don’t even want to imagine the bacteria that was going onto my skin! It also meant that every time I dipped a brush back into a product, I was then putting bacteria from the brush into the product, leading to a vicious cycle. Basically, just clean your brushes to avoid problems. You don’t even need to do it too often, once a week is enough. Plus it’s easy and quick, so there are no excuses! That’s it! It literally costs a few pounds. For those of you that think you need a specific cleanser for your brushes or Blender, you don’t. The anti-bacterial properties of Fairy Liquid make it perfect for cleaning your makeup tools and ensures they’re properly clean. Plus, Fairy liquid is cheap to get so it saves you money, result! 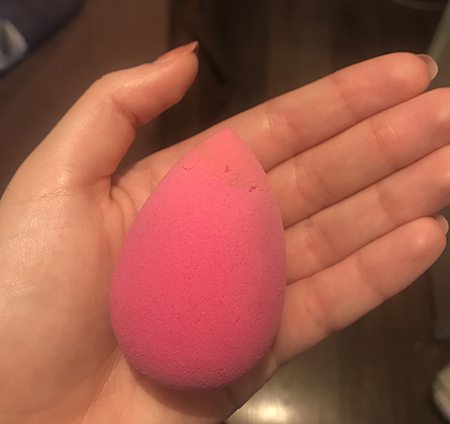 For Beauty Blenders, pop your sponge in a microwavable jug with some water. Then put it in the microwave for one minute on full heat. Next, take the sponge out (be careful the water is hot) and squeeze out the liquid. If it isn’t clean enough, just repeat the process until the Beauty Blender looks clean. After that, run the Blender under a tap and keep squeezing until the soapy water has gone. And that’s it. A nice, clean, new-looking Beauty Blender in 60 seconds. It’s literally the easiest thing to do. Cleaning your brushes is just as simple as washing your Beauty Blender (yay), but it just takes a little longer. Start by filling the sink with hot water and Fairy Liquid. Then pop your brushes into the soapy water. Ideally, you should leave your brushes to soak for 15-30 minutes. But, if you’re impatient like me, you’ll want to get this done quickly, so a few minutes is fine, it’ll just take a bit more rinsing. After soaking, squeeze your brushes out to get rid of the old product. I find that with my foundation brush, it takes quite a few times to get the product out, so I squirt some Fairy Liquid onto the brush itself and swirl it around for a more direct approach and this always works. 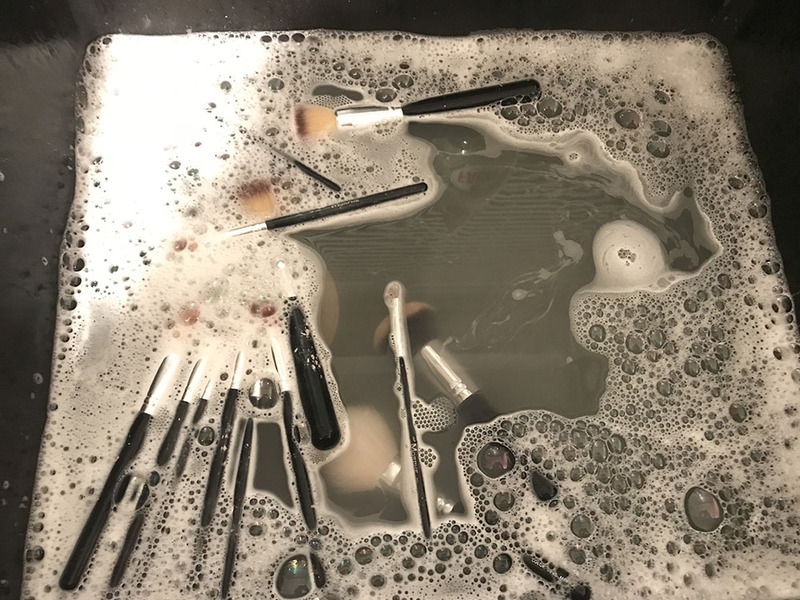 When all the product is out of your brushes and they look clean again, run them under the tap to make sure there’s no soapy residue left. And that’s it, they’re clean and fresh again, which feels so good. 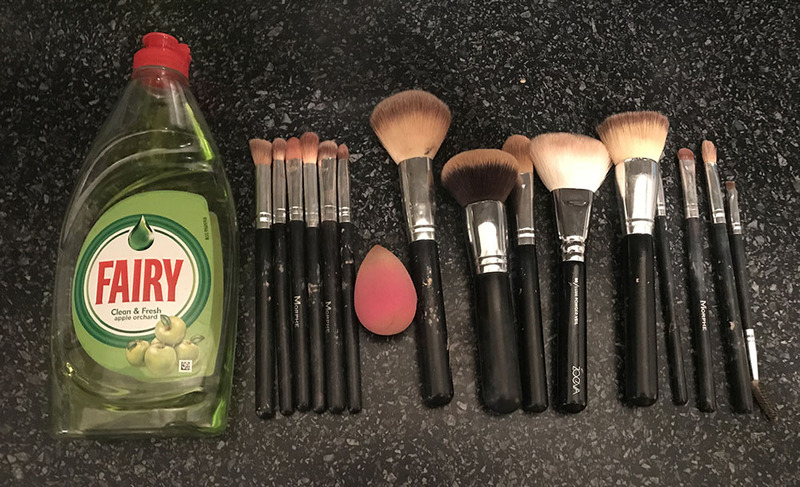 So, cleaning your makeup tools is super easy, fast and inexpensive. I hope this blog post is useful for you all! 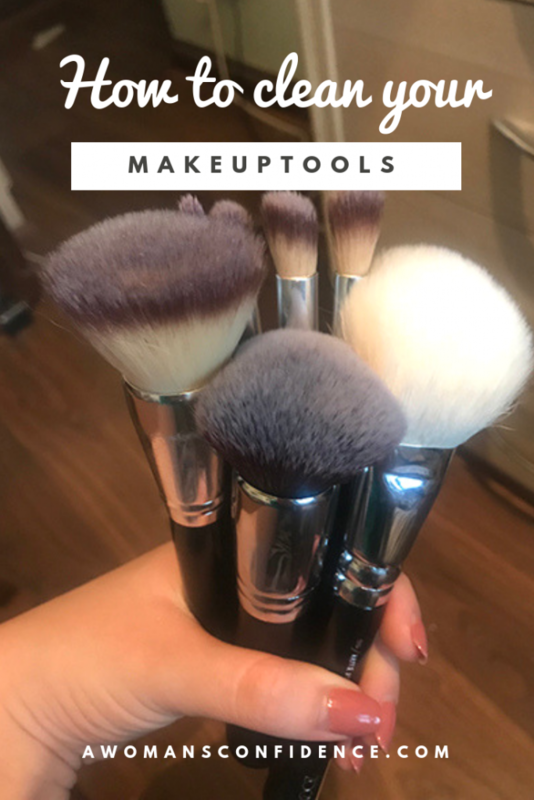 This is a really useful post as I’m rubbish at cleaning make up brushes and usually just throw away and buy new ones! Thanks for sharing this useful advice 🙂 I have followed your blog and look forward to reading more of your posts!